Façade Improvements Revitalize Downtown McDonald - Cozzi Enterprises, LLC. 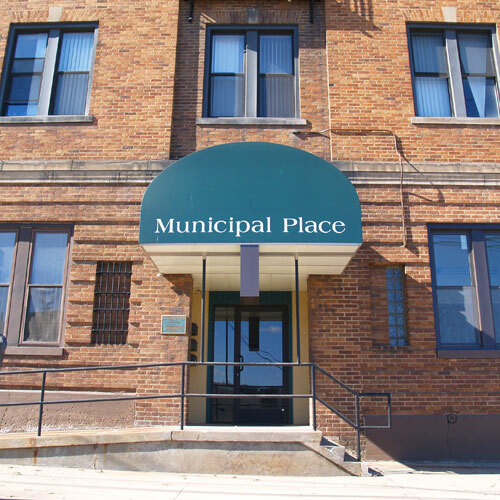 Improvements to Municipal Place, Grand Theatre and the Cook & Shane Building funded by grant monies from the Washington County Redevelopment Authority have been completed. A special thanks to the McDonald Borough Council, led by Mr. Tim Thomassy and Mr. Tom Rockwell for procuring these funds, which are a major linchpin in the revitalization of downtown McDonald. For more information about this and other Cozzi Enterprises properties, contact Matthew Cochran (724)799-3970 or cozziacres@verizon.net. Founded in 1984, Cozzi Enterprises is a real estate development and management company. We specialize in the preservation, restoration, and reuse of historical properties for comercial and residential use in the Southwest suburbs of Pittsburgh, Pennsylvania. Whether you are searching for living or business accomodations, we are your best source for value oriented properties that are both secure and clean, while retaining architecturally unique features of the original building structure. Copyright © 2014 Cozzi Enterprises, LLC All Rights Reserved.